Located in the central part of Florida, Orlando is the fourth largest city in the state and one of the most famous tourist centers of America. The climate in Orlando is subtropical with wet summers and warm dry winters. In summer, the air temperature ranges from 28 to 35° C, and in winter, from 15 to 20 °C. The main precipitation falls on the rainy season lasting from May till September. Orlando is famous for the wealth and beauty of nature, and most importantly for its recreation parks. This is what attracts tourists from all over the globe, especially in winter. In fact, Orlando is one of the fastest growing and developing US cities. And this rapid development began in 1965, when the famous multiplier Walt Disney decided to create in the territory of central Florida an amazing world of fairy tales and fantasies called Walt Disney World. The project was based on the Disney Land parks of Los Angeles, but over time, thanks to the huge free areas available incentral Florida, Orlando’s Disney World became even more advanced than the parks in Los Angeles. It’s the most visited amusement park in the world serving more than 20 million visitors per year. Magic Kingdom offers several roller coasters: Space Mountain – a trip in pitch darkness, and Thunder Mountain – a trip in trolleys in a ruined mine. Also, there are children’s attractions based on cartoons about Br’er Rabbit, Aladdin, Winnie the Pooh, Snow White and many others, as well as colorful costume parades of Disney’s heroes and fabulous evening fireworks. 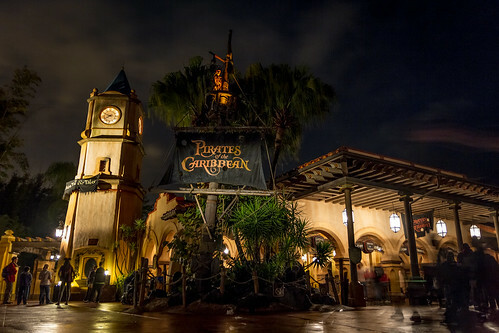 The best attractions of this park are the Pirates of the Caribbean, the Tropical Hideaway, and of course the famous family castle with ghosts that will frighten even an adult, and after visiting this “fun” attraction by your kids, they will definitely have a couple of sleepless nights filled with terrible nightmares. 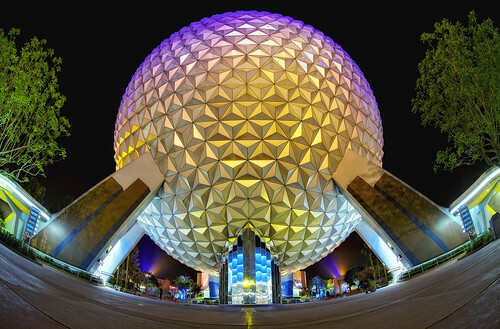 This is the most popular Disney’s venue for adults with pavilions of 11 countries, each of which presents the peculiarity of the specific country, as well as its features and national cuisine. There are also attractions where you can ride a race car, see dinosaurs, get inside the human body and be reduced to the size of an insect. Also, in the Epcot Center you can see extraordinarily beautiful fireworks with light and laser shows, which take place every evening. If you get hungry,it’s recommended to taste dishes of Japanese cuisine in the restaurant situated right on the territory of Epcot Center. 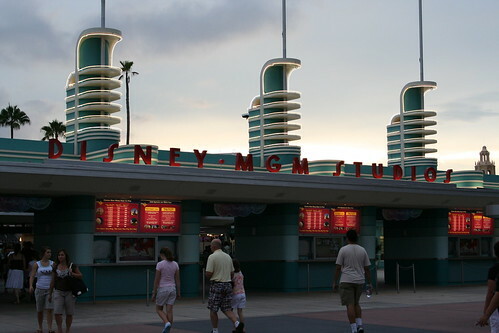 MGM Studio is an amusement venue based on popular Disney movies. The park is interesting for those who are interested in cinema in all its aspects. How it works, what do you need to make an exciting movie, as well as many other answers concerning films you will find in MGM Studio. Here you can feel yourself as a stuntman and a participant in the filming of bestseller, and you can also understand how to get into a fire and not burn, get under a stream of water and stay dry, how to properly bomb the battleship, how to land the plane in bad weather conditions and at the end to consider what baobabs and mountains are made of. However, if you won’t be attentive you simply stay in the familiar world of illusions, and it can be hard to understand all these interesting facts. Everything depends on your observation and interest. Tower of Terror is another interesting place available in MGM Studio – you’ll get acquainted with ghosts, and then fall off the skyscraper in a broken elevator. This is the most modern Disney’s park, combining elements of Safari with an amusement park on the theme of the fauna of Asia and Africa. The world of insects and the famous Dinoland are considered to be the most popular attractions of the park. In Disney’s Animal Kingdom, exotic animals walk freely in their natural surroundings. A steam locomotive will take you through the Afro-Asian forests. You can enjoy boating by the river, go on safari, climb Everest by a roller coaster and travel to the distant past of the planet to meet dragons and dinosaurs. The symbol of the park is the Tree of Life, and there’s a 3D cinema inside of it.